Not only are they very hard working, but are also very generous and kind.... and this article in the local paper proves the point! I am very proud of you both... what big, wonderful, generous hearts you have. 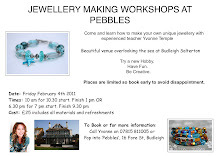 For those of you who live locally, you may like to know that I am running more jewellery making workshops at Pebbles next week... you will have an opportunity to experience Mum and Dad's hospitality at first hand!!... Tea or coffee will be served along with homemade cake in the conservatory overlooking the sea prior to the workshop... who could ask for a better way to spend a few hours... overlooking the sea, making jewellery and munching on fabulous cake??? What lovely, lovely people your parents are. 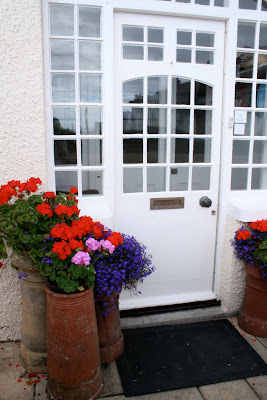 It's wonderful to know there are such nice people around to help when needed.